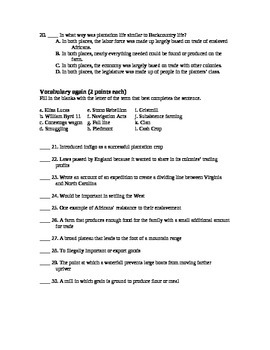 A test I used for 8th grade social studies. The test is about the colonies develop and how it has shaped the United States. The last page of the test is for honor students to improve their details and understanding.